UPDATE: Amazon founder Jeff Bezos’ pending divorce made headlines earlier this year. Word was it could be the priciest split in history. That’ll happen when you’re the wealthiest man ever. We knew it was going to be big, but we didn’t know how big. At least until now. According to a report from Bezos’ own Washington Post, the Amazon founder and his wife of 25 years, MacKenzie Bezos, reached a divorce settlement worth in the neighborhood of $36 billion. That’s billion with a B. It also makes her one of the richest women in the world. MacKenzie is set to receive 4% of Amazon, which is 25% of their shared stock in the company. Jeff retains the other 75% of their shares, as well as all of The Washington Post and Blue Origin, a space-exploration endeavor. He also remains the chief executive and largest shareholder. 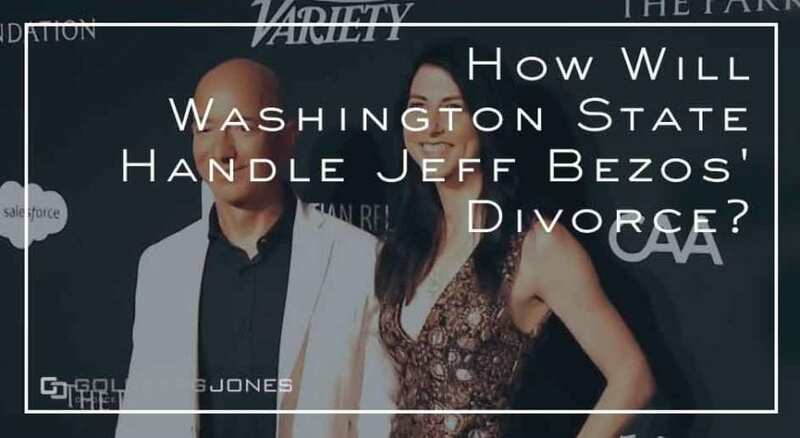 ORIGINAL POST: By now you’ve probably heard that Amazon founder Jeff Bezos is getting divorced from his wife of 25 years, Mackenzie Bezos. Celebrities really are just like us. Though most of us aren’t worth billions of dollars—it’s likely to be the most expensive divorce in history. As Seattle’s premier law firm for men, we’ve fielded numerous questions about this situation. One of our founding partners, Rick Jones, recently jumped on the Cliff and Puck show on KJR radio to answer what people want to know. Take a listen below. What are the rules in the state of Washington regarding their property and assets? Rick: “Well the phrase everybody hears, and that they’ve been talking about nationally already, is “community property.” What that really means is that when they got married they basically entered a business together. They became one entity, a community. “And as such, the wealth that’s been created is going to be considered shared, and shared alike. Had they married AFTER the creation of Amazon, then what would have happened? Rick: “Then it becomes more complex. You’re dealing with levels of community property, meaning wealth that was gained after the marriage, but you’re also dealing with what’s called ‘separate property.’ Separate property can have a value that accumulates what’s called an ‘interest’ on it as well. What if you have a prenup in the midst of building Amazon while they’re married? Since he’s not from Seattle, and they moved to Seattle when Amazon was created, what’s the law? How does that play out being from somewhere else?